The use of mosaic tiles, both in house interior and exterior, is increasing over time. With an ever-evolving design that follows the trend, mosaic tiles are able to meet and realize the demands of homeowners and architecture. If you want to have a unique and stylish house, the use of mosaic tiles can be considered to increase the aesthetics of your house. Formed from small ceramic pieces, mosiac tiles can be arranged in a certain way to form any kind of patterns. This flexibility of mosaic tile will give your house a variety of interior style touches, one of which is modern minimalist. The walls of minimalist house is one example of area that is perfect for the application of mosaic tiles. Typically, the ceramic tiles and the grout are used to decorate the bathroom walls and backsplash in the kitchen-set. However, it does not rule out the use of mosaic tiles in different room or different house style. One of the hallmarks of mosaic tiles is the different colors, motifs, and textures present in each sheet. If incorporated appropriately, this blend will certainly be able to produce motives that are pleasing to the eye and not boring. 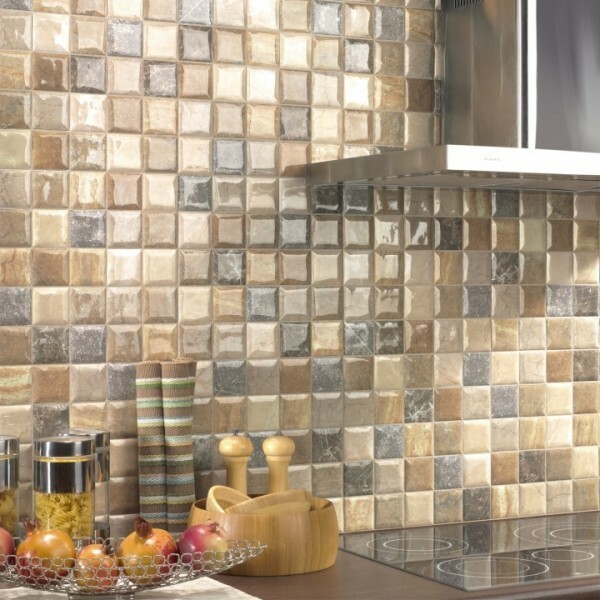 Besides adding aesthetic to your room, mosaic tiles can also give characters to the room. Especially when the tiles are combined with suitable grout colors, such as those owned by MU-Weber tile grout filler products such as MU-408 ColorFill. In addition to having a wide selection of colors that ranges from bright, pastel, to dark, which can maximize the appearance of mosaic tiles, this premixed mortar for grout filler is also easy to clean. To make sure that the installed mosaic tiles can last a long time, the selection of a high quality premixed mortar for grout filler that is suitable for each room is also highly recommended. Like the MU-408 PowerBathroom product that is specially formulated for the installation in bathroom areas that can prevent mold and resistant to cleaning fluid. MU-408 PowerPool that is resistant to any chemical excess and UV light, which make it suitable to be applied in submerged areas such as swimming pool. MU- 408 ColorKitchen for the kitchen area because of it easy to clean and heat resistant feature. And MU-408 ColorOutdoor that is resistant to climate changes and vehicle tire friction. Whatever your mosaic tiles is, make sure that the grout is filled with premixed mortar from Mortar Utama Weber.